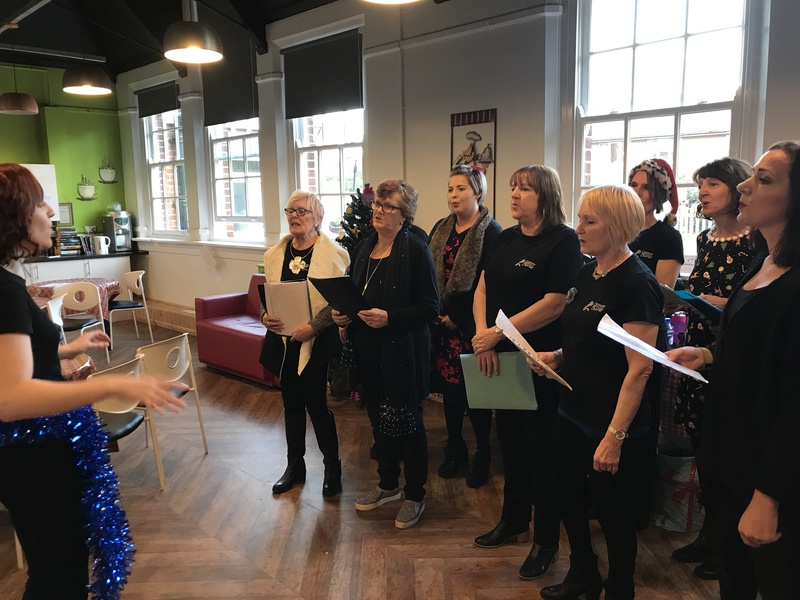 The local community has shown their caring side by supporting St Catherine’s Day Service’s Christmas Fayre and raising money to support disabled people who attend the centre. On Sunday 2 December, the Day Service held a Christmas Fayre to raise funds for the sensory room and Coleshill residents responded in their droves. The centre was packed as people of all ages picked up Christmas treats from the many craft stalls, had a go on the raffle, enjoyed a slice of cake or visited Santa’s grotto. Two holistic therapists were on-hand giving massages for shoppers to enjoy in-between browsing the stalls. And children enjoyed Christmas crafts and writing letters to Santa. Many local craftspeople and businesses held stalls at the event, alongside day centre staff who ran the raffle, tombola and other activities, served refreshments in the café, and sold items made by people who attend the centre. Visitors could put their feet up in the café, enjoying hot samosas, sandwiches and delicious cakes. Among the items up for grabs were gift vouchers, meals out, tickets to nearby attractions and football matches, and much more. There was also a mountain bike paid for and donated by Michael and Julie Ford-Terry, with Neil Gascoine letting them have it at cost price. Proceeds from the event will go towards refurbishing the multi-sensory room at the centre, which provides stimulation and relaxation for the people with complex disabilities. While the figure is still being finalised, initial indications show the event raised well over £1,000 towards the refurbishment. St Catherine’s Day Service provides meaningful activities both in and out of the centre for people with a range of physical, sensory and learning disabilities. To find out more, visit the St Catherine’s Day Service page.